Prez Ed thanked everyone for a great year and gave a number of "FOR FUN" awards besides the traditional ones. Besides the Red Badge Award, Ed gave out an award to each of the Grapevine Editors, Bruce Curley, Angie Hassler, John Guisto, Mel Bandanza & Walt D'Ardenne and named it the D.L. Max Award who was the first contributing Grapevine Editor. 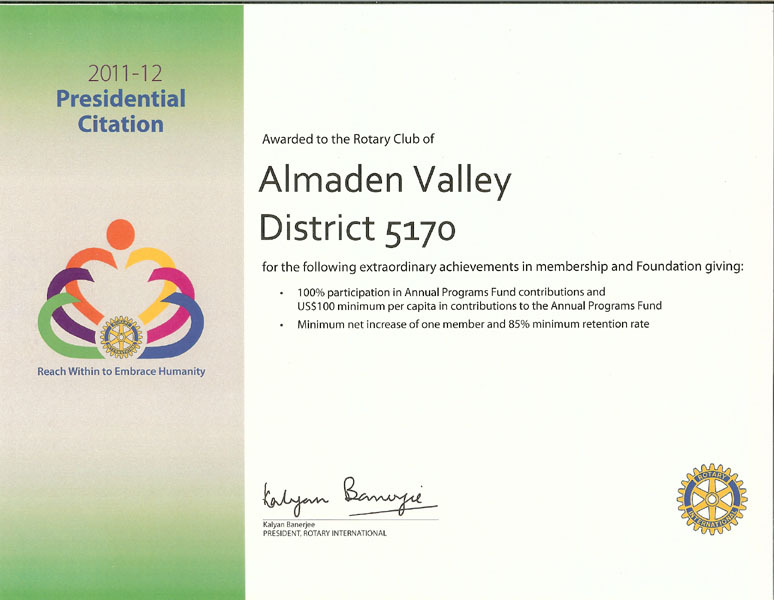 The club also won the Presidential Citation with Distinction. Prez Jerry thanked everyone for a good year. Prez Marianne thanked all for your friendship and support during a very tough but special year. Prez Marianne also thanked the grapevine editors, Webmaster, football committee and to her board of directors for their hard work and support. Mel Bandanza received the Harris Pellish Award exemplifying Service Above Self and contributing so much to the club. John Guisto received the Reese Griswold Award for Service to the Club and the Community. Angie and Roger Hassler received the Rotarians of the Year Award for always being willing to help and get things done. Ken Tavernier received the Red Badge Award. 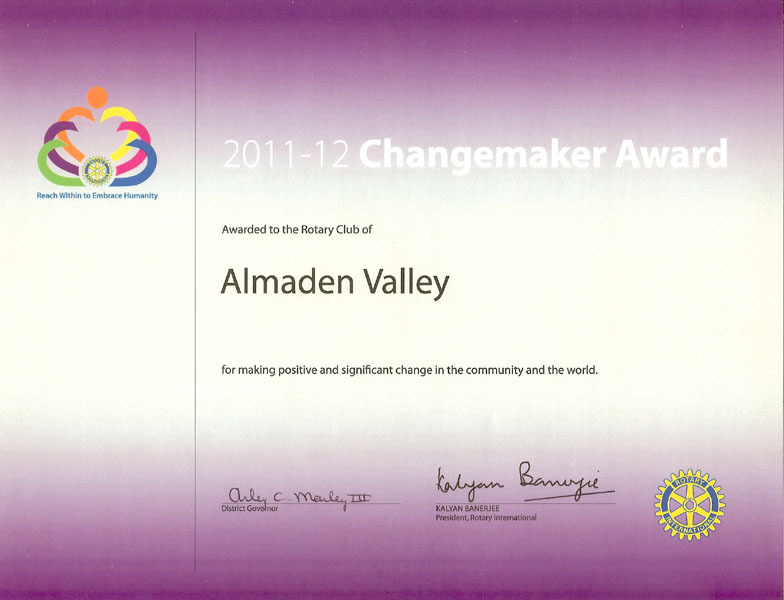 Judy Bier received the Non-Rotarian Award. Prez Angie recognizes each one of her Board of Directors for a job well done. And she also recognizes each of the Grapevine editors for doing a fine job. Paul Venezio was given a pat on the back for his contribution to our club making the 100% Paul Harris Fellows and our club receiving the Club Contribution Award for Outstanding per Capita gifts to Rotary Foundation. Jerry Gibson won a new District Avenue of Service Award for developing AVRC's web site. 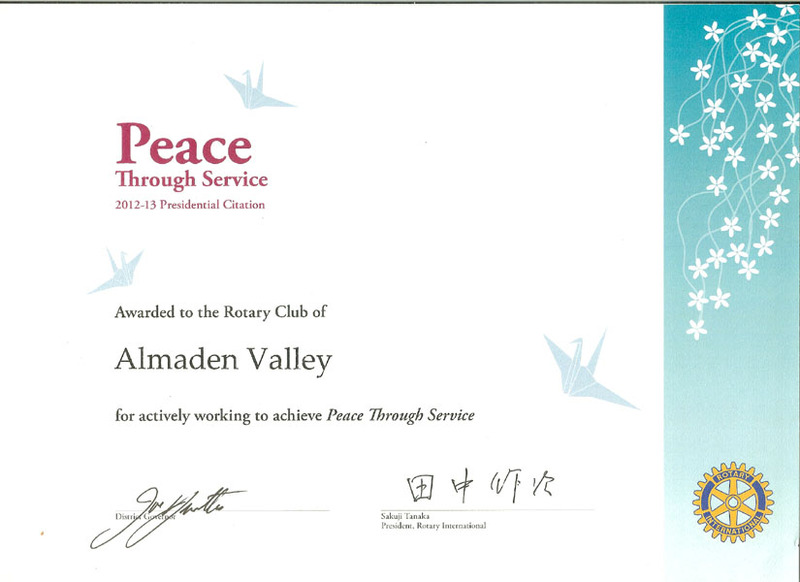 And our club received the President's Citation from RI President Frank Devlyn.